The prudent business owner or business attorney knows that Maryland takes its employment and wage laws seriously. Penalties for failure to pay lawful wages are steep and should be avoided. But even the cautious businessperson may not know of recent changes to Circuit Court procedures that increase the urgency and options when confronted with employee wage disputes. These new rules create an opportunity for corporate and litigation counsel to coordinate on business and litigation strategy in new ways. Maryland established liens for unpaid wages in 2013, allowing an employee to obtain a lien against property of an employer for the value of unpaid wages. Md. Code, Lab. & Empl. § 3-1101 et seq. The employee must serve a notice on the employer with information regarding the unpaid wages. Id. at § 3-1102. Upon receiving the notice, the employer has 30 days within which to file a complaint disputing the lien. Id. at § 3-1103. If the employer fails to respond within 30 days, the lien will be established—and, if against real property, the employee may record the lien in the land records. Id. at § 3-1104. The statute delegates substantive details, such as the specific content that must be included in the notice or complaint, to the Department of Labor, Licensing, and Regulation. See COMAR 09.12.39.01. Until recently, however, there existed little guidance on court procedure once the lien notice is served and employer disputes the notice. Can the employee file a response to the employer’s complaint? Under what circumstances will an established lien be released? This January, the courts set new rules to answer these questions and others. 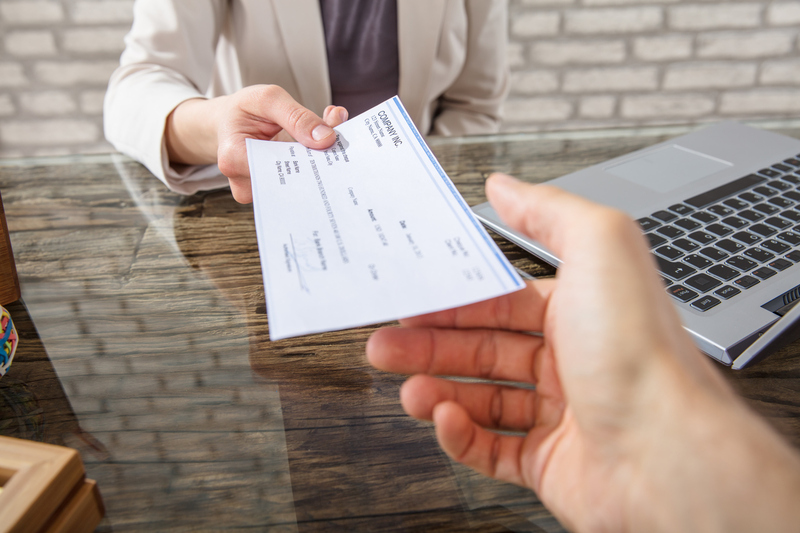 Under the new court rules, an affidavit must accompany the employee’s initial lien notice, certifying under oath that the employee has personal knowledge of the facts relating to the amount of wages unpaid. Rule 15-1402. This oath requirement, easily missed by an attorney consulting only the statute and not the Rule, provides businesses a safeguard against unfounded wage theft claims. But because of the evidentiary value of the affidavit, businesses must take sworn notices especially seriously. After proper notice, the employer has 30 days in which to file a complaint disputing the notice. This has not changed, but it is a critically important deadline. The 2013 statute required the court to resolve a complaint within 45 days after the employer files. Lab. & Empl. § 3-1103. During that timeframe, the employee now has ten days after the complaint’s filing to respond. Rule 15-1403(d). The employee’s options are to (1) answer the complaint, (2) move to dismiss the complaint, or (3) withdraw the notice. Id. If the employee does not respond, the Court can still address the merits. Id. The rules do not set a time limit on the employee’s request for an evidentiary hearing, but regardless, a lot happens in a short amount of time. Both the business and the employee need to be ready to act quickly and decisively. The new Rules include fee-shifting mechanisms, from which employer and employee alike have the chance to benefit. If the court orders that the lien will be established in favor of the employee, then it must award the employee attorneys’ fees and court costs. Rule 15-1403(g)(1). The fee-shifting rule in favor of the employer is less generous. To award the employer attorneys’ fees, the court must find that the lien notice was frivolous or made in bad faith. Id. at (2). If the court finds the claim unsubstantiated because of an innocent miscommunication, for example, the employee would lose but the employer may not be awarded attorneys’ fee and costs. If the court orders that the lien is to be established, employers have a few options for getting the lien released, each of which has business and litigation consequences. First, the employee must release the lien if the employer pays the employee the full amount of the lien. Rule 15-1405(b). From a business perspective, this clears title to property and may help the business’s creditworthiness. From a strategic perspective, this money may wind up funding the employee’s further litigation efforts and increasing the business’s headaches. Second, the employer may file bond in the amount of the lien. Id. A business worried about its creditworthiness may prefer this option, because lenders may care more about property liens than court bonds when evaluating a potential borrower. A business planning to sell property to fund business operations may also want to take advantage of this new option provided by the Rules. If the business has a relationship with a bond surety, filing bond may simply be the cheapest option. These are deeply business-oriented decisions that affect litigation strategy. Importantly, employers are not the only ones who might benefit from the availability of a bond mechanism. An employee has a higher chance of collecting any judgment after trial if the employer/defendant remains solvent. Should the lien threaten business operations, both employer and employee may be worse off. Joseph Dudek is an attorney at Gohn Hankey & Berlage LLP, whose practice focuses on civil litigation and civil appeals. Samantha Gowing is a prospective law student and paralegal at the firm.